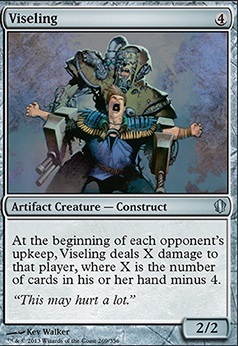 At the beginning of each opponent's upkeep, Viseling deals X damage to that player, where X is the number of cards in his or her hand minus 4.
what an awesome deck, its really impressive. I will try to build a budget version, of it. But I have small question for my own understanding. First, isn't Wheel and Deal banned in EDH? Does Viseling really works? For me it looks a bit slow. What are your experiences with this card? 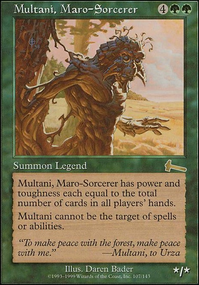 And what are your experiences with cards like Forced Fruition or Seizan, Perverter of Truth ? They looking really powerful but flow as well. Moving away a bit from high cost ramp, mill, and limited effect draw/discard. 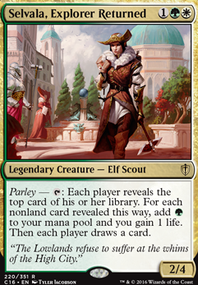 BlackyMTG on Nekusar, Oprah’s Apprentice! Clyde_Bankston on Nekusar, Oprah’s Apprentice! I believe you should put a Howling Mine, Niv-Mizzet, the Firemind, Kami of the Crescent Moon, Consecrated Sphinx, Viseling, and Time Spiral. For mana rocks, Lotus Petal, Mana Crypt, Mox Amber, Chrome Mox, and Mox Diamond are what I'd suggest because they are cheap (cmc), and produce decent amounts of mana. I hope this helps! Gotta love a nice Nekusar deck! You have Fate Unraveler in the Maybe, I would move that to the main without hesitation. I strongly suggest Fevered Visions and Spiteful Visions; both are (0,60$). Another 0,50$ card, Whispering Madness would work well with Whispersilk Cloak. Creatures that fit your theme include Viseling (0,25$), Master of the Feast (0,75$), Kami of the Crescent Moon (0,75$) and Seizan, Perverter of Truth (4,50$). You can get Reforge the Soul for about 4$. I made many kills with Teferi's Puzzle Box (7$). To make space I would take out anything relating to discard and life gain, they look stretched thin across the deck and seem to be diluting the synergy. All suggestions are from my deck Drawing Your Last Breath, please feel free to look and comment! What do you think about Black Vise, The Rack and Viseling? You have a lot of global draw effeccts, you could use these cards to punish your opponents. 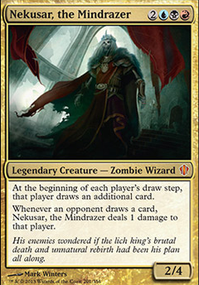 Also, you can draw all you deck (and mill your opponents) with Mind Over Matter + Temple Bell . Depends on what you want to do. Seizan seems more focused on the discarding of all cards your opponents draw because you get effects like Liliana's Caress and Megrim. 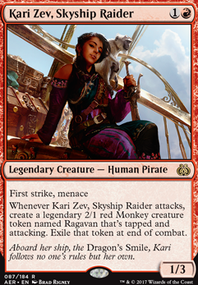 Kami wants everyone to draw cards and is more of a group hug than slug commander. 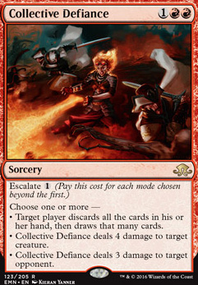 Personally I'd go with Seizan because you get access to more powerful tutors and board wipes in addition to more punishment when letting your opponents draw. 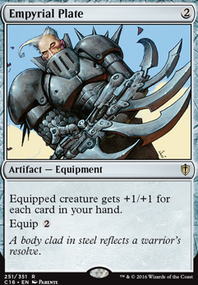 Most of the cards that help punish card draw in Kami are artifacts like Viseling or Black Vise so you're just missing out on lots of artifact tutors.